In 2017, Raya Sarkar and “the list” exposed misogyny and misuse of power in Indian academia that translated to various forms of harassment and assault, and in October 2018, social media has exploded as women journalists, performers and advertising professionals have begun sharing their own stories of harassment perpetrated by men holding top positions in the Indian media and entertainment industry. Twenty-one years after the Vishaka Guidelines, a set of procedural rules and guidelines on sexual harassment at the workplace, and five years after the Sexual Harassment of Women at Workplace (Prevention, Prohibition and Redressal) Act, 2013 came into existence, a wave of the #MeToo movement has finally reached India, and put us face to face with the gaps in the extant legislative framework that govern sexual harassment in the workplace. The guidelines and later, the legislation, did not examine the historical disadvantage that women have had in the workplace, and the power and privilege that men wield in the form of harassment. It treated sexual harassment as an isolated offence, that should be solved by and within workplaces and further, silenced the survivors of sexual harassment at the workplace. In February 2015, a woman researcher filed a complaint against RK Pachauri, the head of The Energy and Resources Institute (TERI), stating that he had engaged in sexual misconduct with her at the workplace. However, not a lot has changed in the way that the legislation against sexual harassment is used – there were no further guidelines, the law was not amended, and there was no judicial direction on further steps towards changing the landscape of reporting sexual harassment at the workplace. 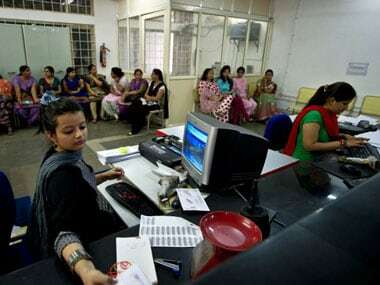 The National Crime Records Bureau (NCRB) did begin collecting data on the reports that were filed under Section 509 of the Indian Penal Code (insult to modesty of women) at the workplace since 2014, but until 2017, this data has been scanty, indicating that reporting still has not increased when it comes to workplace harassment against women. In 2014, about 526 cases of sexual harassment were reported – 57 cases were reported at office premises and 469 cases were registered at other places related to work during that year. In a stark contrast to this, a total of 3,37,922 cases of crimes against women (under various sections of IPC and special local laws) were reported in the country in 2014. Until December 2017, a total of 1,971 cases of sexual harassment of women at the workplace has been reported. An IndiaSpend article indicated that there was a 51 percent rise in the reporting of workplace sexual harassment (at places related to work) from 469 to 715 cases in 2015. However, the reporting rate is conclusive with the fact that women don’t report cases of sexual harassment because there is very little faith in the way the legislative procedures work. A study conducted by Team Lease in 2016 on gender diversity indicated that 72 percent women feel that gender discrimination is pervasive in workplaces, and that there is a need to go beyond just the compliance of an anti-sexual harassment policy by employers. Recently, a report by Livemint indicates that “the number of reported instances of sexual harassment at the workplace was higher in private sector companies compared with state-owned ones during financial year 2018.” This means that the culture of silence is more pervasive in government workplaces and women feel less secure to report cases or to confront their perpetrators for the lack of support. This is, of course, the key reason why movements such as the #MeToo are popular. While there are laws in place around sexual harassment at the workplace, overall reporting has been low, indicating that women don’t feel safe in their own workspaces to reach out to an Internal Complaints Committee (ICC, a procedure mechanism under the sexual harassment law). And this speaks to a larger systemic issue of toxic environments that harbour the culture of silence, make women’s voices invisible and put men’s reputations before women’s rights to safe redressal. The legislation does not deal with this systemic issue, and that is its biggest flaw. In its past five years of implementation, there has been mechanism to monitor the kind of cases that are coming, no initiative to go beyond the pedantry of legal definitions, and no will to change the structure of workplaces to make it more accessible to women. At this point, the #MeToo movement strives – social media is bursting at the seams with women documenting their stories on workplace sexual harassment, but this has to be followed by due process in order to build accountability of the state in protecting the rights of women, and this cannot be done with a legislation that is not accountable to women’s claims of justice, and just serves as a compliance mechanism.